Give preference to continuous casting of steel rolling, non quenched and tempered steel. The yield of continuous casting is higher than that of die cast steel, saving 10-15% energy consumption, and save the intermediate reheating energy consumption and reduce the cost. Closed die drop forgings using non quenched and tempered steel saves energy consumption of second heating and high temperature tempering, saving 0.7 KW power per kilogram. Choosing high quality raw materials, the fracture surface of raw material should be flat without burr and no need to cutting head when laying off, thus to reduce loss.And also can use suit cut blanking way to shorten the tail. Distribute the metal in a reasonable way by changing the preform die and increase blocking die and other technologies. pushing metals more easily to fill die cavity eventually, thus to reduce flash and improve material utilization ratio by 3-5%. 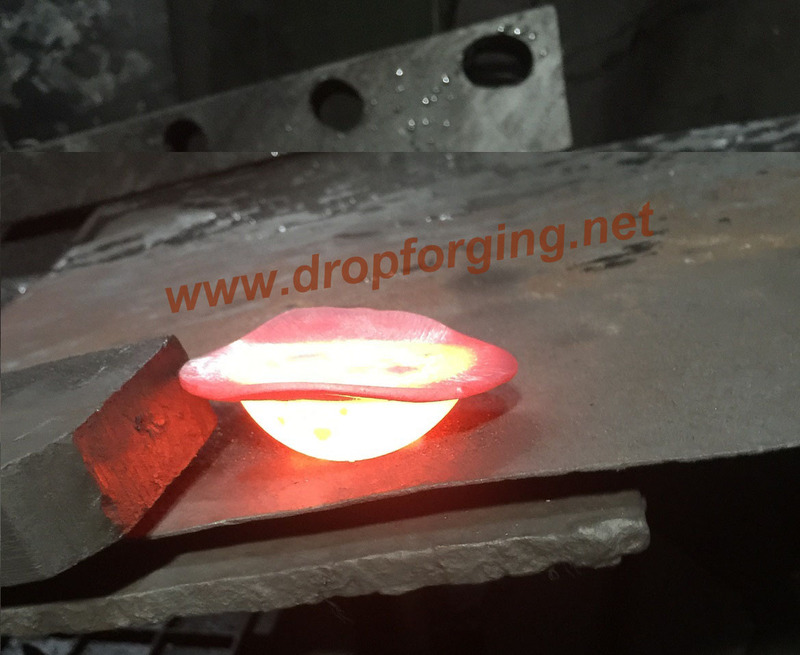 Closed forging in hot die forging press, can realize disc type components closed forged in hot die forging press, and can also produce gear forgings. The material utilization ratio will be increased by 10%-15% and the consumption of raw material and corresponding heating energy will be reduced at the same time. Through the use of advanced die manufacturing technology, less blank without oxidation heating technology and institution improvement, reduce the machining allowance and draft angle of forgings. By adopting hole process instead of punching process, save material and reduce processing consumption of the drilling process. Quenching in the media using waste heat after forging and temperinng at proper temperature, thus to replace hardening and temperature treatment. Quenching in waste heat will improve the hardenability of material, have better tempering stability, and eliminate the forgings reheating quenching process, power saving about 0.4 KW per kilogram of drop forgings. It can replace the traditional empirical formula, data process and die design method, improve the level of drop forging process and die design technology, not only shortens the development cycle of new products, and improves the product quality, energy saving, material saving and prolonging the service life of the dies.